My heart bleeds over issues of sexual reproductive health in Africa after listening to some very chilling stories of how our beloved continent perceive issues of this nature. This is not because I have been naive of the issue but have failed to look at it from a broader perspective. As I sit in front of my laptop this morning I can’t help but imagine how a young mother – married or unmarried in the Western region of Ghana (my home region) might be dying out of very preventable health complications. This is because one way or the other I have failed as a journalist to bring her plight to the fore to attract the needed attention. And I will later find out that I have not been the only one to be faulted in performing one of journalism’s most basic duties – bringing a voice to the voiceless. My experience so far has been that, to achieve significant progress in improving maternal, newborn and child health, both men and women must realise and come to terms with their sexual and reproductive health rights. The World Health Organization recognizes the basic right of all couples and individuals to decide freely and responsibly the number, spacing and timing of their children; to have the information and means to do so; and to attain the highest standard of sexual and reproductive health. This also includes the right of all to make decisions concerning reproduction free of discrimination, coercion and violence. Maternal mortality rate is highest in Africa, where poor sexual and reproductive health is prevalent. UNFPA reports that illnesses and deaths from poor reproductive health account for one-fifth of the global burden of disease, and that only 20% of married women use modern contraception. Unfortunately, the media reportage and attention given to sexual and reproductive health (SRH) remains low. This has to do with the inability or lack of motivation to report such issues by media practitioners. 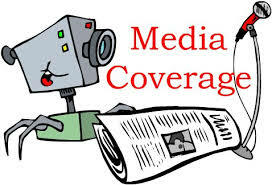 The media plays a vital role in galvanizing governmental and non-governmental support on issues related to SRH by continually raising public awareness to a targeted audience such as policymakers, program implementers and other key stakeholders. As a result, reproductive health issues become more visible in developmental discussions. By promoting openness and public discussions, the media can help break the culture of silence and level of stigma and discrimination associated with SRH issues. Also, bringing these issues to the fore will provide information that will positively affect reproductive health policy. Henceforth, I promise on my honour to be faithful to my basic responsibility of giving a voice to the voiceless. How about you my media friends. Let’s not disappoint our citizenry by pushing issues like this to the periphery, we are their only hope.